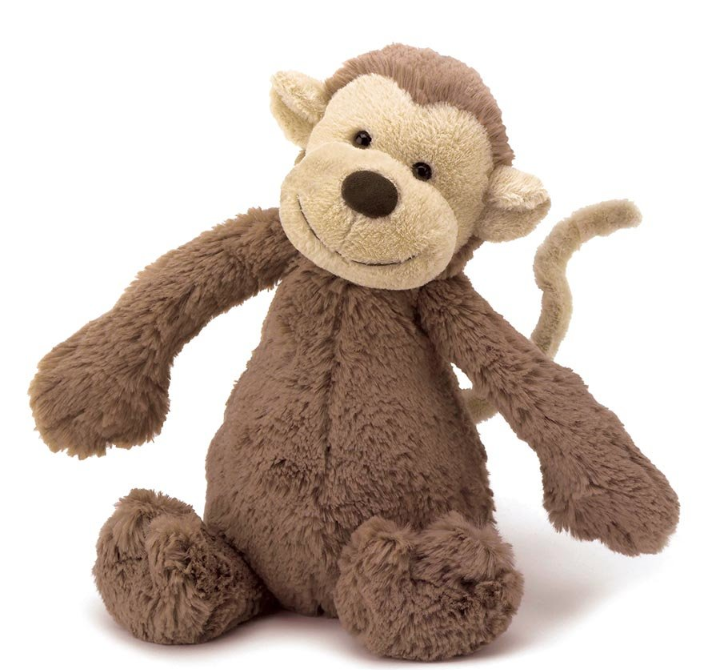 Cheeky monkey is super soft and cuddly in a scrummy creamy chocolate and caramel colouring. Will make a wonderful snuggle friend. Made of 100% polyester and HDPE beads in a cotton bag in monkey base for stability.